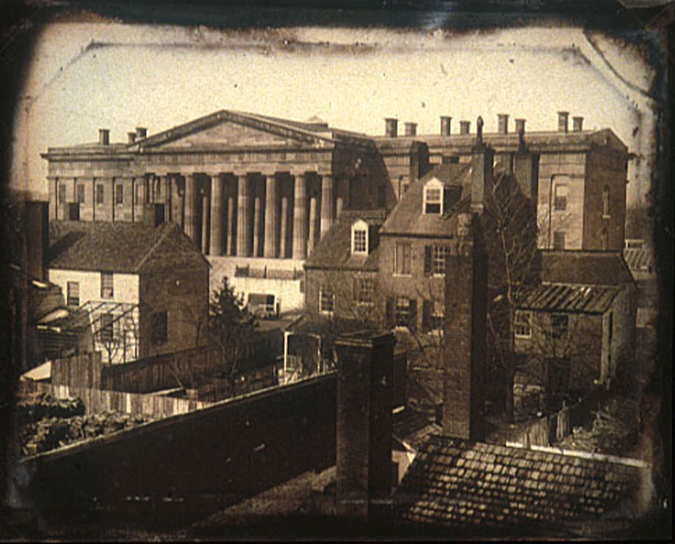 "Patent Office Building," 1846, in Washington, D.C. The Patent Office Building later became the Donald W. Reynolds Center for American Art and Portraiture, housing the Smithsonian's National Portrait Gallery and Smithsonian American Art Museum. Daguerreotype by John Plumbwe Jr.